Also known as the Ballroom, the largest and most representative hall of the Hotel Bellotto. Perfect for conferences, banquets, fashion shows, and private events. Its surface with arcades exceeds 225 square meters. In the theatre style it holds up to 250 people. Adjacent to the Column Hall. For added comfort and convenience, usually it is used as a place where meals are served. It covers an area of 81 square meters. This charming hall is the smallest of the hotel's halls. It covers an area of 75 square meters. In the theatre style it holds up to 60 people. It will be a perfect place for conferences, training courses or seminars. Central, very attractive, hall of the building, with access to the garden, located at the back of the Hotel Bellotto. In the theatre style it holds up to 80 people. It covers an area of 87 square meters. Atmospheric hall full of charm is an ideal place for trainings, small conferences or family celebrations. In the theatre style it holds 70-80 people. It covers an area of 82 square meters. It covers an area of 44 square meters. Here we organize small meetings or conferences. In the theatre style it holds up to 30 people. An intimate room with fireplace; it owes its name to the wonderful oval table for the conversations. This hall holds up to 10 people. If you are looking for a place where dreams will come true with an elegant wedding reception, prom or christening of your child, organized with the class, we invite you to do the Hotel Bellotto. 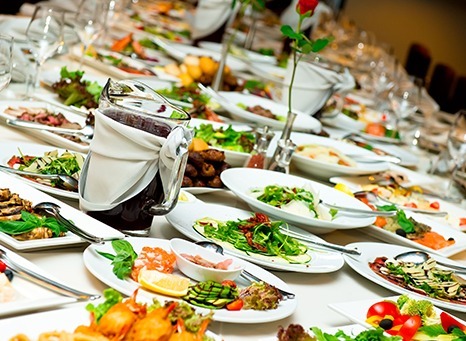 Catering is a very important part of any meeting and may affect the success of your company. Therefore, our Chef and his team of chefs ensure that, in order to fulfill your wishes , crafting menu in detail. For his work approach with passion and great commitment, treating customer satisfaction as a priority.